The latest episode of Should I Start a Podcast features Allison Melody, a podcast host and entrepreneur whose entire outlook on life and business is truly inspiring. 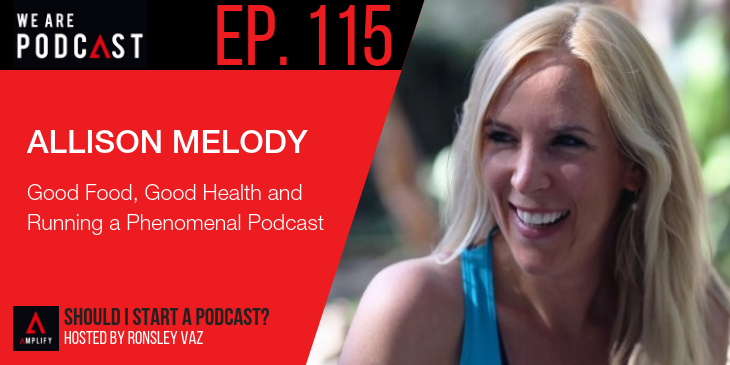 As host of The Food Heals Podcast, Allison has amassed more than 150,000 listens in just a few short years. She’s also signed a book deal, hosted numerous events and retreats and has built a successful product ecosystem around her brand. Allison promotes healthy eating and mindful living, something you can’t afford to ignore. Unfortunately, too many of us sacrifice health for convenience, and end up eating salty, sugary and refined foods that shorten our lifespan and kill our moods.